Change is in the air, and I'm not talking about presidential politics. While the rest of the country obsesses over delegate math, black America would do well to pay closer attention to another vote count—how senators and members of Congress are lining up on the most serious effort to date to fix our unfair and deeply destructive sentencing code for federal drug crimes. These hastily conceived but, thus far, implacable policies have arguably done more damage to our community than any law since Jim Crow's death. But this congressional session, more than 20 years after Washington copped its first hit of crack, legislators are meaningfully considering a much belated rewrite. We should all be familiar with the depressing fallout by now. Forty percent of the 2.2 million people in prison or jail are black, 20 percent are Latino. At the current rate, one in three black men will spend time behind bars before they die. Those are stunning facts, but equally gripping are the ones that make clear how the prison-industrial complex has ballooned with black bodies as a result of Washington's quixotic war on drugs. Since its opening salvos in the early 1980s, the national prison population has grown at a faster rate than ever, according to Justice Department stats—by nearly 700 percent. Take that in for a second, it's a doozy. Now consider this one as well: In 1980, just 25 percent of federal prisoners were locked up for drug charges; today, the number is larger by half than the entire prison population of 1980. Over the last two decades, conservative thinkers have peddled pseudoscience and played upon white fantasies about urban America to rig the system and produce precisely these results. At the center of that effort sits a tripped-out federal rule that counts 1 gram of crack cocaine as the legal equivalent of 100 grams of powder, triggering a mandatory five years for crimes involving about a teaspoon of rock. It'd take about two cups of powder to get the same time. Last year, the U.S. Sentencing Commission started rolling the boulder of reform up Capitol Hill. After studying the racial disparities, the Commission tweaked the formula that guides judges in handing out drug punishments. The Commission can't override the congressionally mandated 1-100 crack-to-powder disparity, but the changes it made are expected to reduce crack sentences by about two years. Moreover, amid much controversy, the Commission made the changes retroactive, potentially reducing sentences for about 20,000 offenders. The first batch became eligible to petition for reductions this month. And that's got the Bush administration screaming bloody murder. Attorney General Michael Mukasey has begged Congress to reverse the rule change. He's argued that judges, overwhelmed with petitions, will shove violent offenders into the streets, presumably waving TEC-9's and tossing crack-filled glassines into schoolyards. Never mind that the Commission found that 90 percent of federal crack cases involved no violence. Or that judges have the ability to, well, adjudicate the difference between a killer and a wayward twentysomething. "It'll be more of a burden, but we're talking about 1,600 cases this first year spread around the entire country," federal Judge Reggie Walton, who sentenced I. Lewis "Scooter" Libby and has been an advocate of the Commission's change, told me in an interview. "It seems to me that if a decision has been made—as the Sentencing Commission concluded—that the disparity is fundamentally unfair, that just because I'm going to have to work a little harder as a judge to address that fundamental unfairness is not a sufficient reason for me to say that we shouldn't try." But most observers believe Mukasey's real game is to slow the quickening pace of change. Following the Commission's move, several viable bills have popped up in both the House and the Senate that eye varying ways to reduce the crack-powder disparity and to ease mandatory minimum sentences. The Bushies are trying to frame the coming debate, as they have done so well on many issues. So in the name of preparing us, too, for the long overdue discussion, here's my clip-and-save list of five things every black person ought to know about drug sentencing. There's no such thing as a crack baby, and other monster myths. Little black babies born "craving" cocaine and with lifelong defects formed a central, and lasting, image justifying today's drug laws. But no research ever established that any type of cocaine use, crack or powder, causes fetal damage. 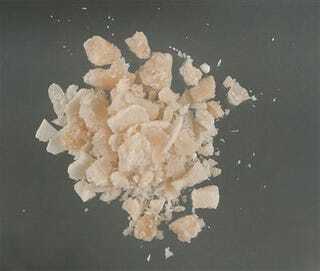 In fact, neither powder nor crack cocaine creates a physical dependence—in the way heroin and nicotine do, for instance—because the body metabolizes them so fast. That's part of what fuels binge usage—our bodies are too good at clearing the drug to stay high very long. Nonetheless, news outlets jumped on studies in which pregnant rats got dosages 25 times the size a human would take and ran with them. The supposedly crack-damaged babies that filled the airwaves were more likely hurt by factors we've long known to plague poor black women, and never cared about—poor pre and post-natal care, awful diets, the male violence directed at their bodies, and more. Congress legislated first, asked questions later. All of these facts were knowable at the time Congress passed both the 1986 and 1988 laws that created the current sentencing structure. But much like Iraq, nobody bothered to ask. Riding a Reagan era political ethos that framed broad, structural issues as questions of individual morality, Congress shoved the laws through with stunningly little debate. After the uproar over NBA star Len Bias' cocaine-related death, Congress passed the foundational 1986 law in less than a month, with no committee hearings and little floor debate. Black folks helped. With our cities ravaged by both public and private disinvestment, we blamed the symptoms rather than the causes. Twenty years later, this would be ancient history but for the fact that we're still paying for it. The crack-powder disparity is just the beginning. The whole system is perverted to funnel defendants into lockup without due process. Here's one example: If you plead guilty to whatever crime you're charged with and can offer prosecution help busting other players, you get points toward a sentence reduction. But that also means pleading innocent counts against you. And it means if you're a kid who made a few bucks on the corner and knows nothing about the larger operation, you've got less chance of reducing your sentence than if you're a real player. The result is that while a college sophomore who dabbles in drugs by slinging weed to his dorm risks at best a temporary challenge, a kid who does the same with crack on the corner ruins his life. It matters, deeply. The incarceration rate has an impact far beyond the prison walls. There's all kinds of stuff ex-cons can't do once they nominally regain citizenship. They can't vote—1.4 million black men are disenfranchised, permanently. It's much more difficult to get a job. Some can't get a federally backed student loan. And on and on. Moreover, study after study has charted the broader damage to the community of cycling so many young men in and out of prison. Infection rates for both HIV and hepatitis C, among other communicable diseases, are multiple times higher inside prisons than the rest of society, and most systems ban the established tools for preventing these virus' spread, like condoms, clean needles and clean tattooing works. New research is also establishing links between the epidemics inside prison and the exploding ones outside, particularly with HIV among black women. We can fix it. Enough said. Find out more about the rigged justice system and the debate on Capitol Hill here and here. And sign on to demand Congress sober up here.